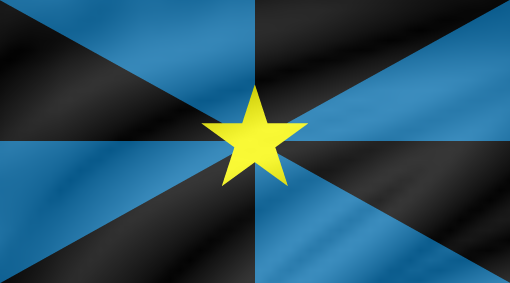 Stangerites is a nation led by El Presidente Frawley on the continent of Africa. Stangerites's government is a Absolute Monarchy with very liberal social policies. Economically, Stangerites favors left wing policies. The official currency of Stangerites is the Dollar. At 1,515 days old, Stangerites is an ancient nation. Stangerites has a population of 4,692,267 and a land area of 30,500.00 sq. miles. This gives it a national average population density of 153.84. Pollution in the nation is everywhere. The citizens' faith in the government is completely depleted with an approval rating of 0%. 02/16 09:54 am - founded a new city, Bendigo. 02/04 02:00 am - Stangerites declared war on Snoops Hood for the reason of "Arrgh!". 02/04 01:09 am - Stangerites had war declared by Goldland for the reason of "Do you feel lucky, punk?". 02/01 12:40 pm - Stangerites declared war on Lunchboxistan for the reason of "Arrgh!". 01/30 02:00 pm - Stangerites declared war on Erland for the reason of "Pinata". 01/30 04:00 am - Stangerites declared war on Verduras for the reason of "I will have vengeance.". 01/29 04:00 pm - Stangerites declared war on Eastern Sweden for the reason of "Do you feel lucky, punk?". 01/29 08:07 am - Stangerites declared war on Republic of WPMT for the reason of "Say hello to my little friend!". 01/23 08:00 am - Stangerites declared war on Goldland for the reason of "Hasta la vista, baby! ".